Blockchain is transforming many industries, and it is about to do the same in market research. Lenny Murphy explains why. In the last round of GRIT, we asked respondents whether they were aware of blockchain, and only about half were familiar with the technology. We asked these respondents what they thought about its potential applications for research, and most were still on the fence. The finding was no surprise; for many, blockchain is all about cryptocurrencies like Bitcoin, and skepticism is well warranted based on the early development of this technology. However, just a few months later we had no less than 5 blockchain entrants in the Insight Innovation Competition and even more presenting at IIeX North America, with blockchain play Measure Protocol actually winning the competition (click here for my interview with them). We’ve partnered to conduct several webinars on the topic and have engaged in many, many conversations with almost all of the current players who are working on blockchain initiatives in the industry. In fact, for me, engagement around the applications of this technology is quickly becoming a significant part of my “workload”, much to my own surprise. And all of this background is to set the context for why I believe it’s time to believe the hype on blockchain, not just in general, but specifically for the world of research. First, a short primer is in order to ensure we are all on the same page. Transparent data is embedded within the network as a whole, and it is public by definition. It cannot be corrupted, as altering any unit of information on the blockchain would mean using a huge amount of computing power to override the entire network. This technology has moved far beyond the realm of cryptocurrencies, with smart ledgers now being deployed across almost every industry imaginable. 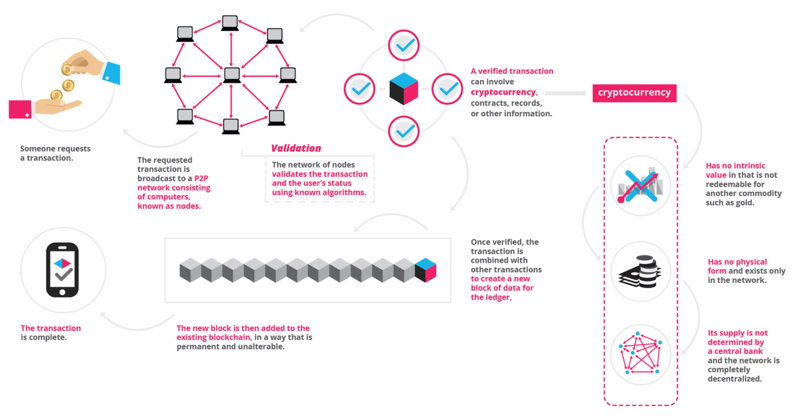 Basically, if a transaction is involved, then blockchain can (and is) being applied to create new models of how to make it more efficient and secure. The graphic below from Flip Filipowski, Co-CEO of Fluree, is a good snapshot of current category activity. But industries have a long history of chasing the next bright, shiny thing, so despite all this activity, where are we on the hype cycle? Well, Accenture and Credit Suisse have analyzed this and are saying we are about halfway there, moving out of prototyping and into piloting. Over the next 2 years, the technology should start reaching mainstream adoption. By 2025, it will be mature. That timeline is roughly analogous to what we have seen with other disruptive technologies in the past decade such as mobile, automation, and AI. However, analysis of trends is one thing; I prefer to follow the money to evaluate what is really happening, and that story is no different: the investments into blockchain is accelerating as real business use cases are being proven. It’s particularly interesting to watch what big tech companies are doing. Microsoft, Google, Facebook, etc. have acknowledged they are working on blockchain plays without divulging much of their actual plans. IBM has come out very much as a significant player utilizing their Hyperledger platform as a major infrastructure for blockchain development across many categories and their leading companies. For the sake of transparency, I have to mention that I have been deeply engaged in conversations with IBM on this topic, so I am particularly knowledgeable about what they are doing and trust me, it is both impressive and consequential. As companies like IBM and their peers continue to invest energy, resources and capital into scaling blockchain applications across verticals it will only accelerate the overall development timeline and speed mature adoption of the technology. There is every indication that despite the naysayers, this technology truly has already emerged as a disruptive force and will continue to do so at an even faster pace. So now, what does all that mean for the realm of research? Well, we have looked at the various companies making some kind of play related to “data access and analytics” and recently hosted a webinar with several of them including GfK, MR Chain, Measure Protocol, Datawallet, The IEEE NIST Blockchain Technical Committee, YouGov plc, The Opinion Economy, CryptoChicks, RDM and InnovateMR.com. For many of these companies, the issues of data privacy and sample quality have primarily driven consideration of how blockchain might (or might not!) be applicable to the insights industry, although many variations related to data management in general have also been discussed. These companies are largely start-ups (although many have raised many millions of dollars in VC capital already, with more capital access coming via their ICOs), however, as companies like Facebook and Google which already have access to so much consumer data roll out their solutions, it isn’t a stretch to assume that we will see both insurgents and existing large companies offering solutions that will directly impact the very core of research: accessing consumers for their participation in providing data. In fact, companies like Datawallet, The Opinion Economy, Prediqt, and Measure Protocol are arguably creating the next generation of access panels, although with aspirations that go far outside of just surveys. Following the leads of companies like PureProfile and YouGov, they are creating true single source ecosystems that can be used to for both insights, marketing and activation while giving consumers a whole new level of control over their data. 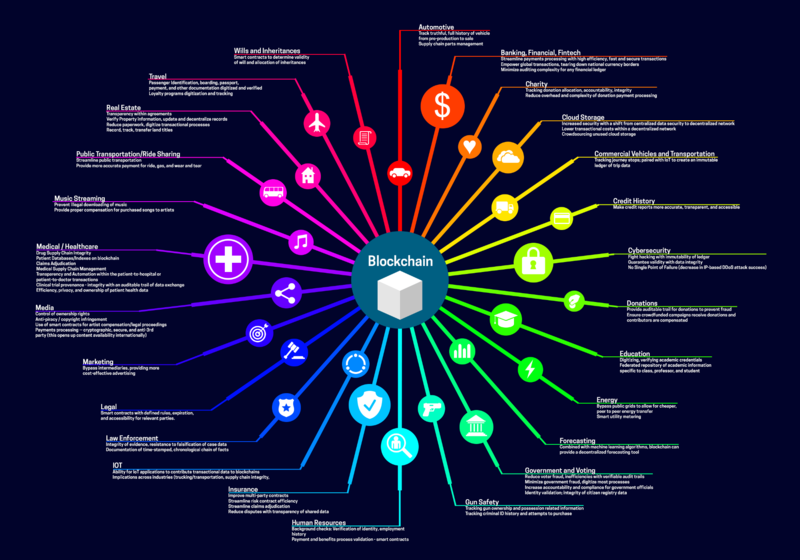 The bottom line is that we are witnessing the emergence of numerous companies working on blockchain applications related to the insights industry, and we would do well to pay attention and engage with them. My belief is that we are on the cusp of the next great disruptive technology for research. Over the past 20 years the industry has seen similar initial low awareness and expectations around adoption of online data collection, DIY platforms, mobile, automation and AI and within five years each emerged as major trends changing the industry. Only time will tell if blockchain follows a similar trajectory, but it would be foolish for the insights industry to not pay attention to the signals and develop plans just in case.